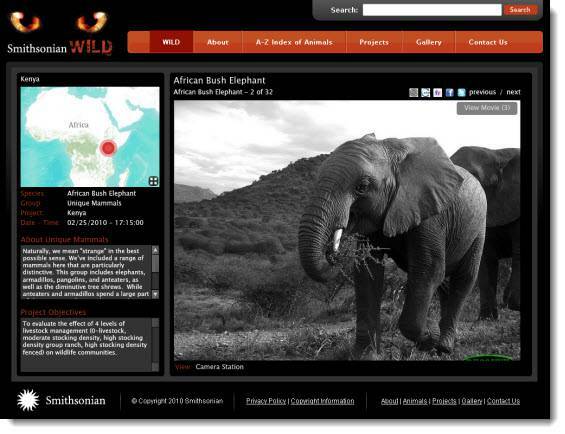 As part of a Smithsonian Web 2.0 grant, Blue Raster has developed Smithsonian Wild, an interactive web mapping application for the Smithsonian National Museum of Natural History using ESRI ArcGIS.com, ArcGIS Server Flex API, and Flickr. Smithsonian Wild also offers detailed descriptions of the diverse animals and regions as well as a world map so the user is always aware where the animal being observed is located in China, Kenya, Malaysia, Panama, Peru, Thailand, or the United States. Customized searches allow the user to choose the path of this entertaining and educational experience via species, group, or region. 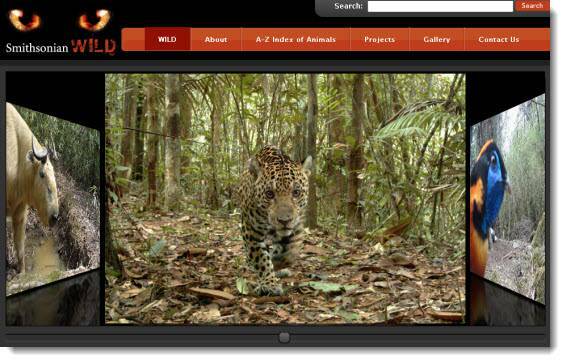 Please visit Smithsonian Wild at http://siwild.si.edu/ today to view these amazing pictures and get your own rare glimpse into the animal world. To learn more details please go to the Natural History Museum’s blog post.